that fed your sweet tooth to apps that kept you fit. Icy movies warmed your hearts, and your go-to party song was literally a dark-horse favorite. You loved reading stories -- real and imagined -- of love, adventure, and, OK, sometimes lust. Here’s a look at some of the most popular apps, games, movies, music, news and books of 2014 on Google Play. Did your favorites make the list? It was a big year for entertainment, from games that fed your sweet tooth to apps that kept you fit. Icy movies warmed your hearts, and your go-to party song was literally a dark-horse favorite. You loved reading stories -- real and imagined -- of love, adventure, and, OK, sometimes lust. offers a wide selection of apps and watches to suit your taste. It’s about expressing who you are, however you want, right on your wrist. , the first streaming media and gaming device that brings Android to your TV. Thanks to thousands of games and free online multiplayer, Android is already the first choice for many casual and experienced gamers. And with Android now on screens big and small, you can sneak a quick game while you’re out on the road, then keep playing at home on your HDTV. Nexus Player makes the perfect holiday gift for family fun and immersive play on the biggest screen in your home. Here’s a quick look at some upcoming titles and a round-up of recently-launched favorites. Rayman Fiesta Run brings Ubisoft’s classic, wacky and lovable character Rayman to your living room. Jumping and rolling through this beautiful fantasy world looks incredible on your TV. And if you grew up like me, spending countless hours collecting video game stars and coins, you’ll quickly fall for this title with a Gamepad for Nexus Player. Goat Simulator: because who hasn’t dreamt of causing chaos as a goat? If you’re looking for a great way to spend the holidays, or to level up your love for Android gaming, grab the Nexus Player and Gamepad for Nexus Player in the Play Store. Nexus Player comes with Badland and a $20 Google Play credit that you can use for games, movies and more. Enjoy the holidays, whatever (and wherever) you’re playing! I still remember my first gaming console. For months I was hooked on blocky 8-bit scenes with a repetitive soundtrack of bloops and bleeps. Back then the graphics were primitive, the choice of titles was limited, and gaming was strictly an indoors activity. Today, things are different. 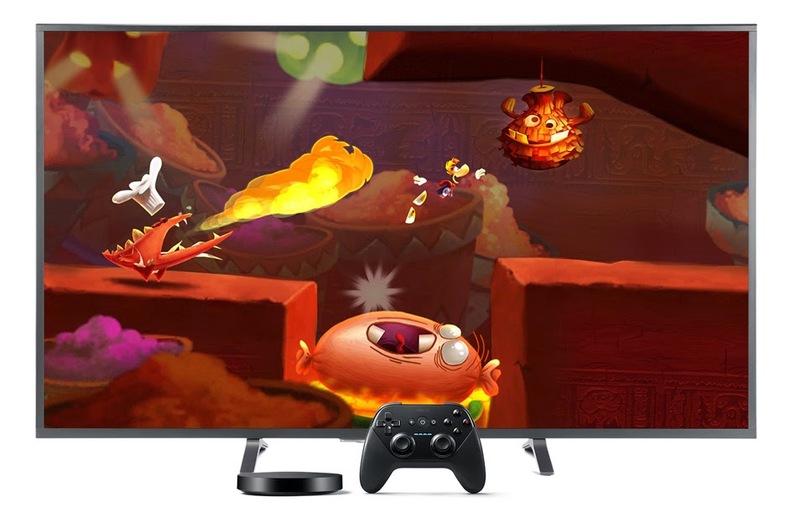 We recently launched Nexus Player, the first streaming media and gaming device that brings Android to your TV. Thanks to thousands of games and free online multiplayer, Android is already the first choice for many casual and experienced gamers. And with Android now on screens big and small, you can sneak a quick game while you’re out on the road, then keep playing at home on your HDTV. Searching for your notes is simpler now too. You can filter notes by color and other attributes such as whether they’re shared, have a reminder, are lists, or have an image or audio. Find what you’re looking for even faster, and let Keep do the remembering for you. 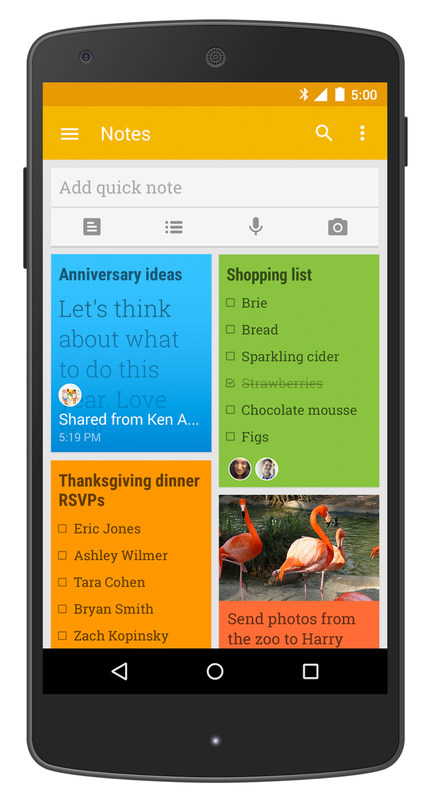 Google Keep is available for free on Google Play for your Android phones (Android 4.0, Ice Cream Sandwich and above). For existing users, the sharing feature will start rolling out today on Google Play and is already available on the web and the Chrome Web Store. 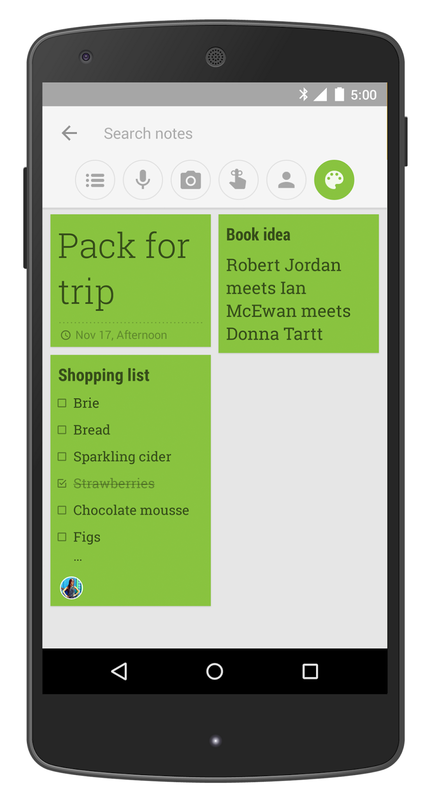 Sticky notes on refrigerators were once the preferred way to say, “We’re out of bread - could you pick some up?” Now with Google Keep, not only can you jot down ideas or put together shopping lists, you can also share them with friends and family and work on them at the same time. 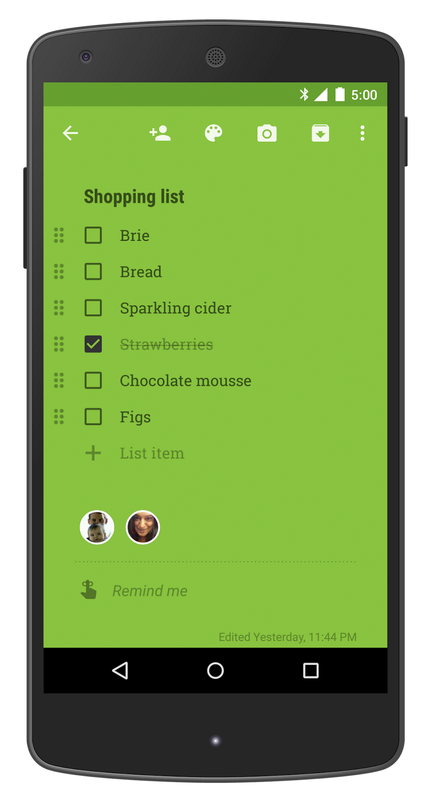 So next time you create a list, share it on Keep and watch as items get checked off in real time! No need for text messages back and forth—get things done together, quicker. device makes it easier to match your style, and today we’re introducing another great watch into the mix: the ASUS ZenWatch! For starters, the stitched leather strap and curved, stainless steel body make the ZenWatch both comfortable and attractive to wear. It also has a curved glass display, which provides a smooth surface for easy gestures, and a beautiful window for watch faces. Finally, the ZenWatch includes a unique set of sensors that help you keep track of your heart rate, step count, and even relaxation levels. 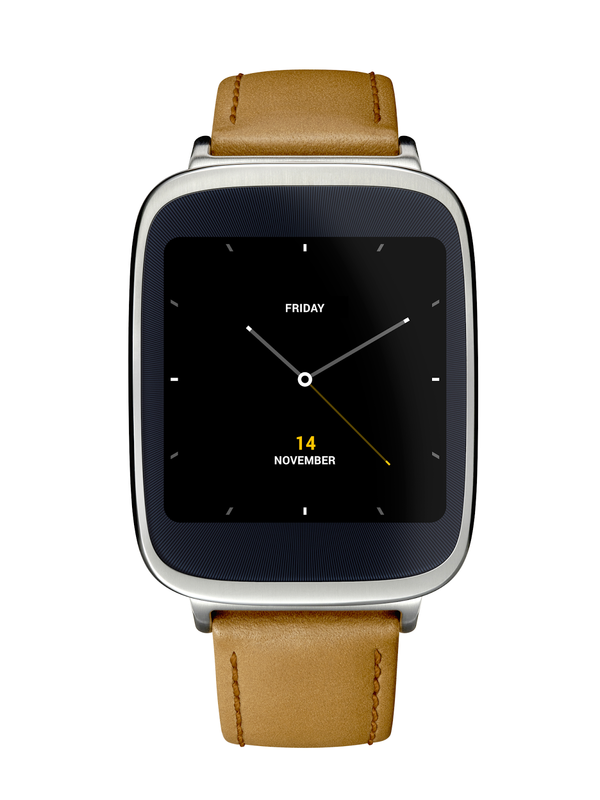 The ASUS ZenWatch is available to buy now for $199.99 from Google Play and Best Buy. Every new Android Wear device makes it easier to match your style, and today we’re introducing another great watch into the mix: the ASUS ZenWatch! you can choose the watch that best fits your personal style, then add your favorite apps to customize even further. This ability to make your watch your own is made possible by an amazing community of manufacturers and developers. And today we’re welcoming another exciting addition to the family: the LG G Watch R.
With a matte black stainless steel bezel, a leather strap, and a fully circular screen that’s the first of its kind, the LG G Watch R combines the timeless design of a traditional watch with the sensor-rich experience of Android Wear. It also includes a range of watch face styles that display beautifully on its P-OLED screen. The LG G Watch R is available to buy now for $299 from Google Play and AT&T. With Android Wear you can choose the watch that best fits your personal style, then add your favorite apps to customize even further. This ability to make your watch your own is made possible by an amazing community of manufacturers and developers. And today we’re welcoming another exciting addition to the family: the LG G Watch R.
Our friends at the National Basketball Association have just released the NBA Game Time app on Google Play. In the United States, you can now follow your favorite teams and catch every pick, roll, dunk and long-range three, live with an NBA League Pass. While you’re at it, grab the Android apps for your other devices so you can cheer on your team from your couch, on your tablet in bed, and on your phone under your desk at work. 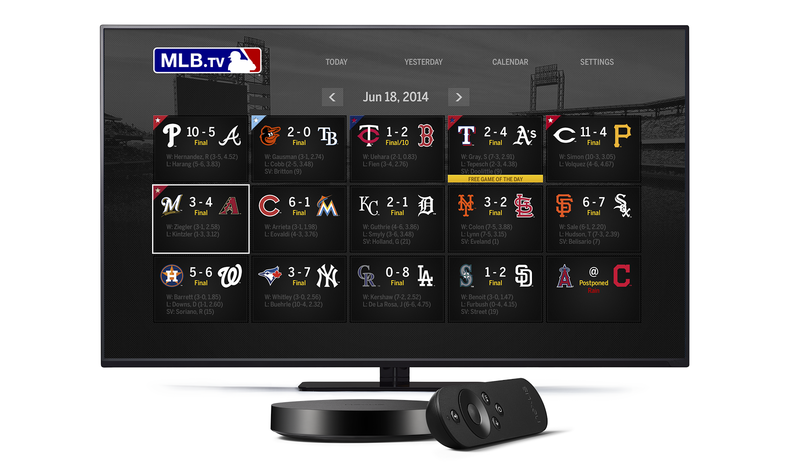 MLB.TV is also now available for Android TV on Google Play. With an MLB.TV Premium subscription, you can catch up on full-game archives and recaps from every 2014 regular-season and postseason game. And on April 6, you can watch Opening Day and follow the 2015 MLB season live (subject to blackout restrictions). 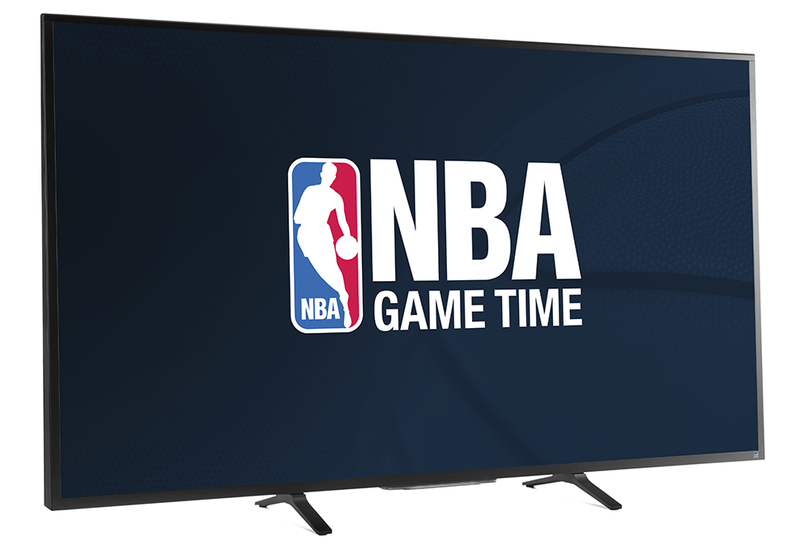 NBA Game Time and MLB.TV are now live in Google Play. Get them for Nexus Player and stay tuned as we continue to build out our live sports offering on Android TV. 2014 is shaping up to be an awesome year for professional basketball. Cleveland gets The Homecoming. Charlotte welcomes back the Hornets. And San Antonio tries to repeat as it goes for its sixth Championship. With the season only a few days old, you can now watch live NBA games on Nexus Player. earlier this year: one consistent design language flexible enough to span devices across mobile, desktop, and beyond. 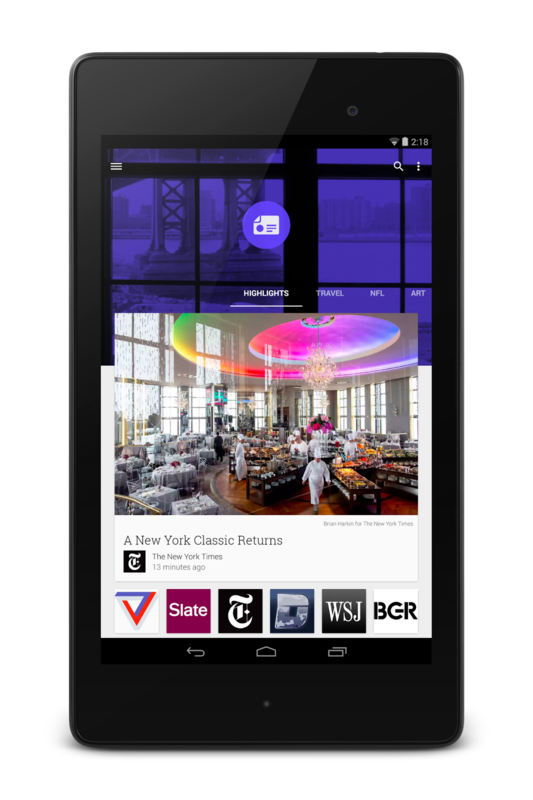 Design is a major focus for Lollipop—the latest version of Android—which begins to roll out today. While we first introduced material design this summer, today’s updates are just the beginning of delivering a modern design language for the next wave of devices in your life. It’s a conversation we’d like to keep going. Starting tomorrow, we’ll be gathering some of the best design thinkers from around the industry at FORM, a cultural event for wide-angle design conversation. And we’ll be continuing the conversation with you online, on Google+ and Twitter and at google.com/design. We look forward to working with you to help push the limits on what’s possible through design. If you’re like me, you jump between a number of different devices throughout the day—reading a magazine on your tablet, checking the time on your watch, chatting with your friend on the phone, even plotting your route in the car. More and more, our screens work together, each helping make your life a little bit easier. But if design is the way they communicate with us, it often feels like each one is speaking a different language. That’s why we unveiled material design earlier this year: one consistent design language flexible enough to span devices across mobile, desktop, and beyond. Design is a major focus for Lollipop—the latest version of Android—which begins to roll out today.
. No problem. Take a peek at the new table of contents view to skip straight to the “Bountiful Tuscan Feast” chapter. Once you’ve found your recipes, you can easily jump between them using new Quick Bookmarks. When you’re planning your next trip, pick up a Fodor’s travel guide and use Skim Mode to browse the whole book and get a sense of which destinations you want to be sure to visit. Bookmark your favorite spots for easy finding later. If you’re a student, you can highlight text and take notes while you’re reading, then refer back to them later with Skim Mode—the perfect study buddy. Ebook reading has always been great for getting lost in a well-crafted story (in the dark using night mode is my favorite! ), but now it’s a good fit for any type of book. Visit the Google Play store to have a look for yourself—just add any free sample to your library to start reading. Plan a trip, prepare a meal, research a topic or study for an exam—we’ve got you covered with the new reader app for Google Play Books. Have you ever had breakfast for dinner? Or checked the score of the big game before you watched it? Traditional ebook reading is great when you want to read books from start to finish—but what if you want to skim through recipes; jump between questions and answers, researching a topic; or read chapters out of order? Today we’re launching a new version of the Google Play Books app for Android phones and tablets with a redesigned reading experience that’s optimized for nonfiction books. This new reader lets you easily skim an entire book, browse all your notes and highlights, and quickly jump back and forth between different spots. And it’s still great for fiction ebook reading, too. Imagine you’re cooking two recipes from the same cookbook— roast chicken and bruschetta from Around the Table. No problem. Take a peek at the new table of contents view to skip straight to the “Bountiful Tuscan Feast” chapter. Once you’ve found your recipes, you can easily jump between them using new Quick Bookmarks. Google Fit: An effortless, comprehensive view of your fitness. – a fitness app that helps you to start tracking your activity effortlessly and become more active, aware and motivated. Google Fit uses sensors already built in to your Android phone to automatically detect walking, biking and running. And you can set and monitor your fitness goals based on your activity levels. It’s a great tool to discover how active you are and check in on your progress as you work on your fitness goals. In fact, you can check in just about anywhere, including your phone, the web, tablet and Android Wear devices. Just keep your Android phone with you and we’ll make sure your activity counts – whether you’re cycling up steep hills, going for a morning jog or walking the dog. Google Fit is available starting today on Google Play for devices running Android 4.0, Ice Cream Sandwich and above. When it comes to improving our fitness, every little effort counts. That’s why we’ve created Google Fit – a fitness app that helps you to start tracking your activity effortlessly and become more active, aware and motivated. 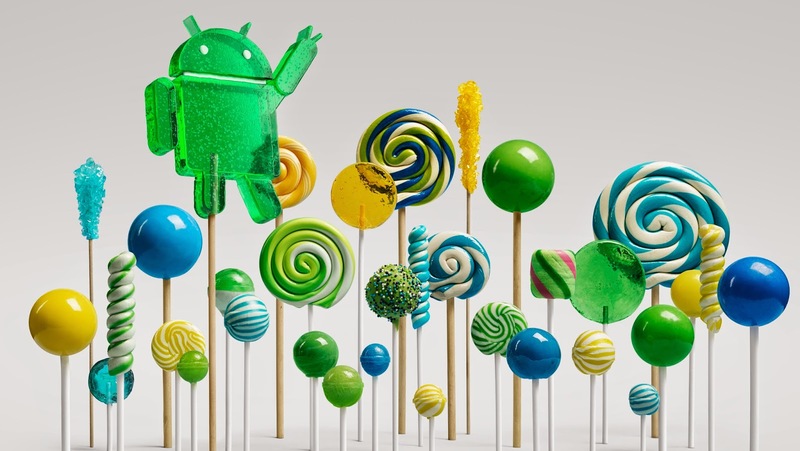 A sweet Lollipop, with a kevlar wrapping: New security features in Android 5.0. What’s the simplest way to keep the data safe and secure on your mobile device? Use a screen lock! Lost and stolen devices are the number-one security issue affecting smartphone users. Still, a lot of people using mobile devices don’t use a pin or password because it takes too long to unlock, dozens of times per day. We’re making it easier than ever with Smart Lock, which lets you tell your phone to unlock using Bluetooth pairing, NFC, or simply your smile—faster than before. Plus, you can allow certain notifications to be accessible from the lock screen, helping you quickly get at the information you need while still keeping your device protected. People use safes and combination locks to protect their physical goods. With digital information, encryption acts like a safe to protect your information from thieves and snoops. That’s why we’ve worked hard to provide this added security for our users, which will now be the default from the moment you power on a new device running Lollipop, keeping your data safer without needing you to fiddle around in the settings. Full device encryption occurs at first boot, using a unique key that never leaves the device. This is the safest way to encrypt your device, which is why it’s how we’ve built encryption on Android since it first launched three years ago. Android has had a strong application sandbox since the very beginning; Security Enhanced Linux (SELinux) pushes enforcement of the Android security model further into the core of the OS and makes it easier to audit and monitor so there's less room for an attack. With Android 5.0, SELinux Enforcing mode is required for all applications on all devices. Multiple vulnerabilities have been prevented since we first introduced SELinux last year; by strengthening it even more, Android becomes a top choice for enterprise customers that have really strict security standards, such as the government. This is a feature that the broader security community helped us build, and is an example of how Android’s open nature helps make your device more secure every day. 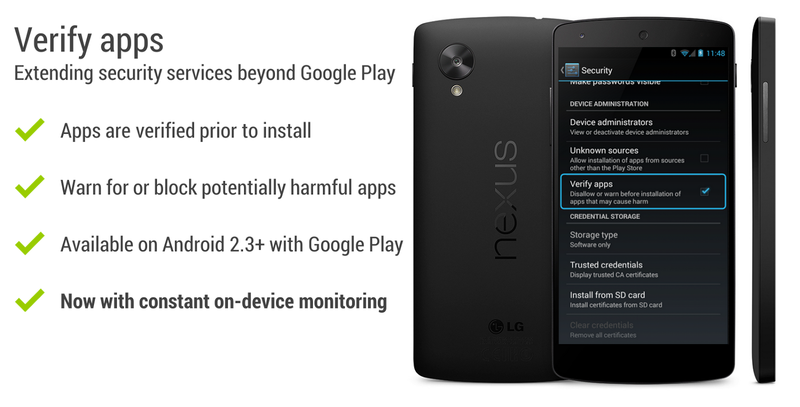 Update: In September, we announced that all new Android Lollipop devices would be encrypted by default. Due to performance issues on some Android partner devices, we are not yet at encryption by default on every new Lollipop device. That said, our new Nexus devices are encrypted by default and Android users (Jelly Bean and above) have the option to encrypt the data on their device in Settings ---> Security ---> Encryption. We remain firmly committed to encryption because it helps keep users safe and secure on the web. 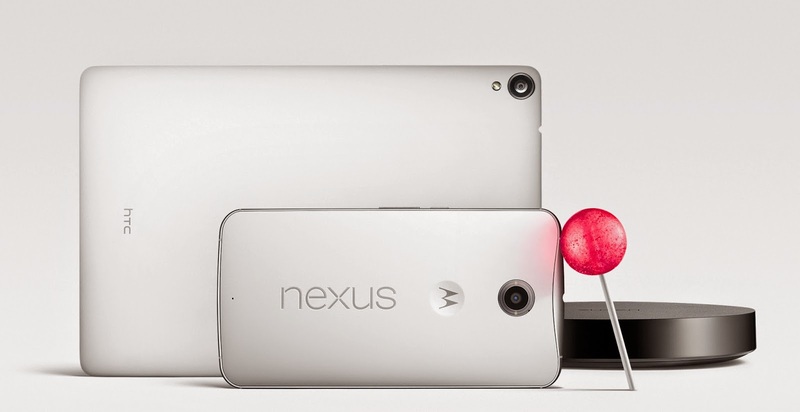 With each new release of Android, we try to stay two steps ahead of the bad guys. When it comes to security, Lollipop is the biggest update for Android to date. From the moment you turn on a device running Android 5.0, you’ll have a wealth of new security features protecting you, like encryption by default and a lock screen that’s easier and more powerful than ever. is giving you some extra motivation to get moving with a new update, new wearables, and a whole new range of apps. Whether you’re training for a marathon or you just ride your bike on weekends, Android Wear is great for tracking things like route, distance and speed. But before today, you had to keep your phone close at hand. Starting today Wear supports watches with GPS sensors, so you can enjoy these features regardless of where your phone’s at. Likewise with music. You want to be able to turn up the volume on your favorite tunes, but the fewer devices the better when you’re jogging ‘round the bend. Now you can store music on your watch, listen to it via Bluetooth headphones, and leave your phone at home. If you have a watch with GPS, you can try today's new features with apps like Golfshot and MyTracks. 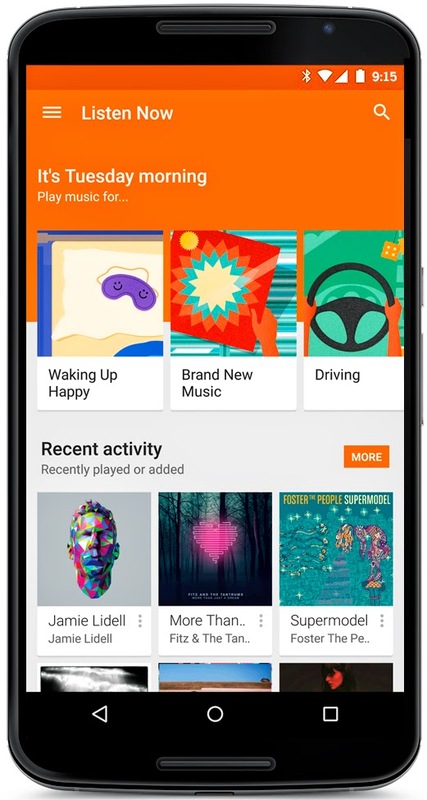 And if you want to rock out directly from your wrist, just grab the latest version of Google Play Music. 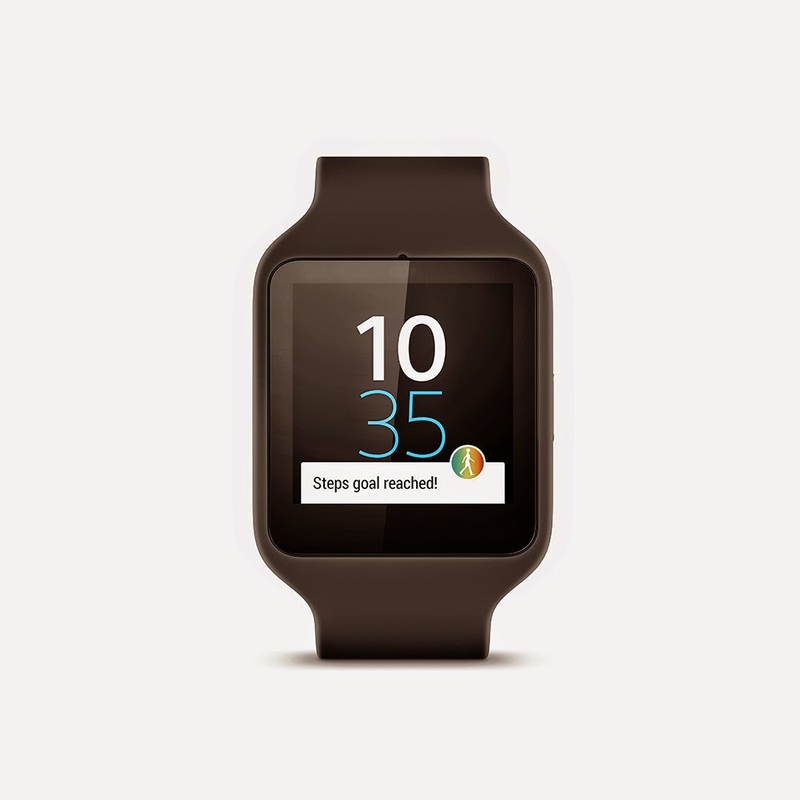 You can order the Sony SmartWatch 3 on Google Play or from Verizon Wireless. SmartWatch 3 is the first Android Wear watch to include a GPS sensor—perfect for enjoying today’s updates. It has a transflective display that improves battery life and is really easy to read in sunlight, so it’s a great fit for staying, well, fit. 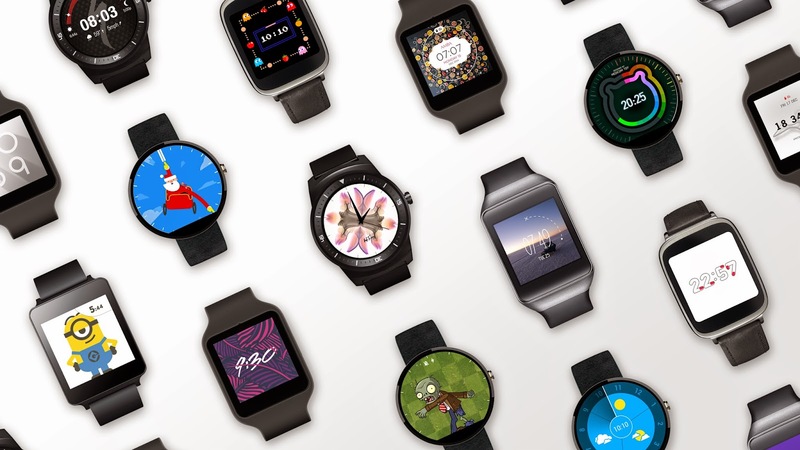 Of course, Android Wear offers a range of shapes, styles and sensors to help you find the wearable that’s right for you. The LG G Watch, the Samsung Gear Live, and the Moto 360 will all be updated to include the new music functionality over the next few days. New Android wearables coming later this year on Google Play, the LG G Watch R and the ASUS ZenWatch, will also have the latest software. Many of the Android apps you know and love already work well with Android Wear. In fact, tens of thousands of apps are now enhanced for Wear using things like voice controls—with more added to Google Play every week. To help you find apps that work for you, we’ve created eight new app collections in Google Play. So browse the fitness and health collection, or take a look at travel, and let us know what you think in the new Android Wear community forum! Updated November 10 to reflect availability of Sony SmartWatch 3 on Google Play. Going for a run is a great way to get some exercise and disconnect from the everyday grind. Today, Android Wear is giving you some extra motivation to get moving with a new update, new wearables, and a whole new range of apps. app. This is our first integration with Songza, a company we acquired this summer that gives you expert curated music stations based on what you’re doing. You can download these music stations to listen when you’re offline, see what song is up next, and add, remove or re-order them to suit your taste. Or you can start a new station based on any song in the mix. You can also search for a particular station you want or activity you want to find music for. As part of this update, we’ve also redesigned the “Listen Now” page so you can more easily discover new music. Now you’ll see cards for all of your recently played music, new releases you might be interested in, and radio stations based on what you like to listen to. 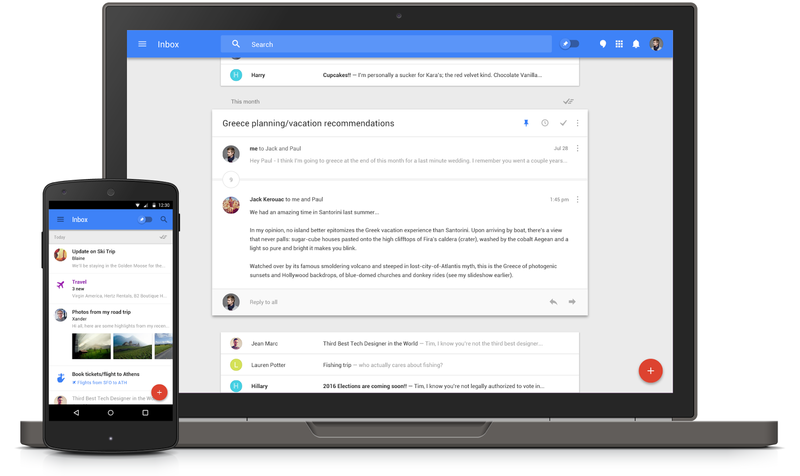 You’ll also notice that the new app uses Google’s material design, with bigger images, bolder colors and slick transitions. The new activity-based station recommendations are available today for subscribers in the U.S. and Canada (Android, iOS and the web). The redesigned “Listen Now” page is available in all 45 countries where Google Play Music is available (for Android, iOS and the web). With more than 30 million songs to choose from on Google Play, it can be hard to figure out what to listen to. Sometimes you want to build your own mix to rock out with your friends, and sometimes you want to sit back, press play and hear something completely new. Whether you’re at work or on vacation, we’ll find you the best music station to make the experience better. It’s Tuesday morning and you might be sitting in the office, in desperate need of a way to stay motivated for the week ahead. How about a playlist for staying focused at work? 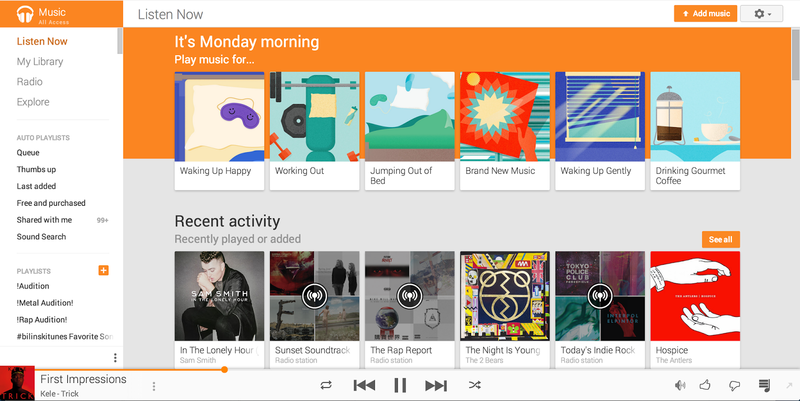 Starting today, it’s easier to find the right music for every mood with an updated Google Play Music app. This is our first integration with Songza, a company we acquired this summer that gives you expert curated music stations based on what you’re doing. Android as an open platform, and put it out there for everyone to imagine, invent, make, or buy whatever they wanted. As previewed at Google I/O, Lollipop is our largest, most ambitious release on Android with over 5,000 new APIs for developers. Lollipop is designed to be flexible, to work on all your devices and to be customized for you the way you see fit. And just like Android has always been, it’s designed to be shared. Lollipop is made for a world where moving throughout the day means interacting with a bunch of different screens—from phones and tablets to TVs. With more devices connecting together, your expectation is that things just work. With Lollipop, it’s easier than ever to pick up where you left off, so the songs, photos, apps, and even recent searches from one of your Android devices can be immediately enjoyed across all the other ones. Google Play Newsstand, our news reading experience for Android and iOS devices, and we’ve already been serving billions of headlines to you every month. Today we’re updating the Play Newsstand app for Android devices with a new look and a fresh reading experience for magazines. Play Newsstand brings together all of your favorite news sources in one reading experience, including everything from online newspapers, websites, blogs and your favorite print magazines. 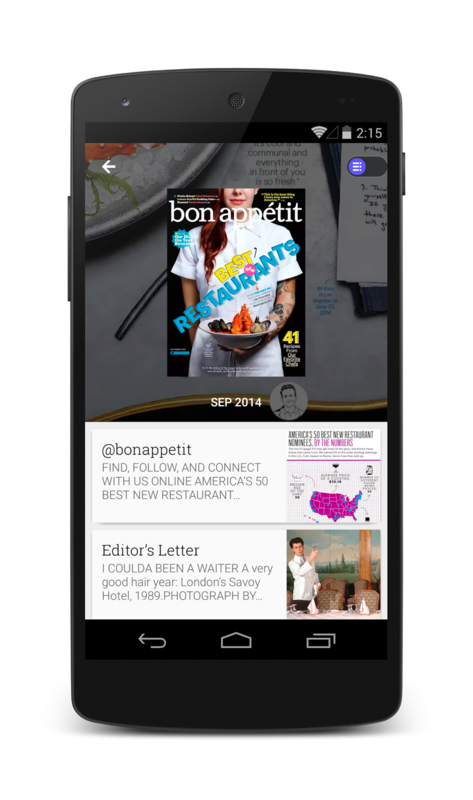 Today’s redesign brings a new magazine reading experience on your phone. In the past, print magazines have been hard to read on a small screen, zooming in and out to skim an article. But now you’ll see a list of articles from the magazine that you can toggle through and easily read with big images right on your phone. The new Play Newsstand app for Android pulls from Google’s material design with bigger images, more contextual headers and smoother transitions. You can swipe left and right between topics, and swipe up and down to dive more deeply into a particular topic. Play Newsstand puts the news you care about front and center with big images that jump off the screen. We’ve also added deeper topic cards in the Explore section so you can start subscribing to topics you are passionate about - whether that be the Vegan or Paleo Diet, Game of Thrones, or Star Wars. Topics deliver a personalized and up to date reading experience on your passions and interests. And our new Android app is faster than ever. 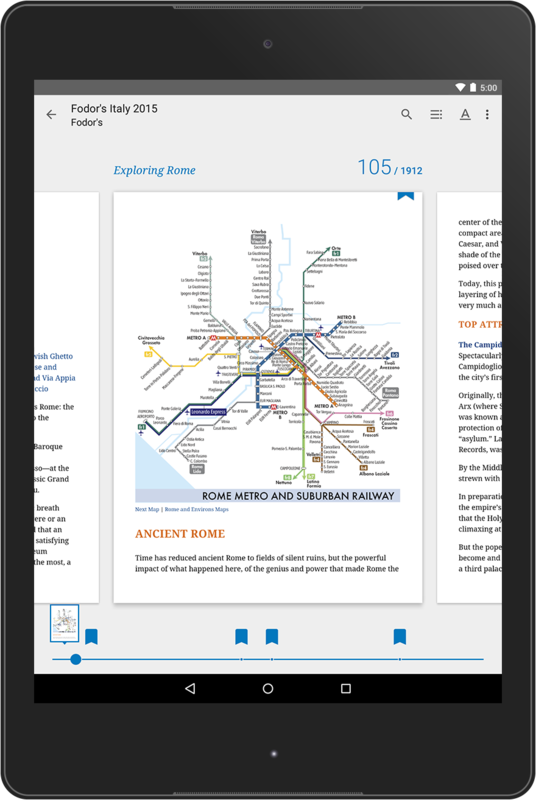 With more than 2,000 free and paid, full length publications, you’re sure to find something to read in Play Newsstand. The new Android app is available in more than 40 countries and will rollout to all users over the next week, or you can download the app on Google Play today. Happy reading! It’s been a little less than a year since we launched Google Play Newsstand, our news reading experience for Android and iOS devices, and we’ve already been serving billions of headlines to you every month. Today we’re updating the Play Newsstand app for Android devices with a new look and a fresh reading experience for magazines. comes in. At I/O, we first talked about this initiative to make high-quality smartphones accessible to as many people as possible. And today we’re introducing the first family of Android One phones in India. There are three big reasons why it’s hard for people in countries such as India, Indonesia or the Philippines to get their hands on a high-quality smartphone. First, is the hardware itself. Even entry-level smartphones still remain out of reach for many (bear in mind that in some of these countries the average monthly income is around $250). Second, many people in these markets do not have access to the latest Android software and popular applications. Finally, even where 3G and 4G networks are available, not enough people have phones that can support data and the plans can be expensive. Android One aims to help tackle these challenges. By working closely with phone and silicon chip makers to share reference designs and select components, we’re making it easier for our partners to build phones that are not just great to use, but also affordable. They have lots of processing power, so you can get information quickly. They have high-quality front- and rear-facing cameras. And for all those pictures, along with your apps and videos, Android One phones will have expandable storage. We also added features that people in India will find particularly useful, like dual SIM cards, a replaceable battery and built-in FM radio. To help ensure a consistent experience, Android One devices will receive the latest versions of Android directly from Google. So you’ll get all the latest features, up-to-date security patches, and peace of mind knowing your stuff is always backed up. 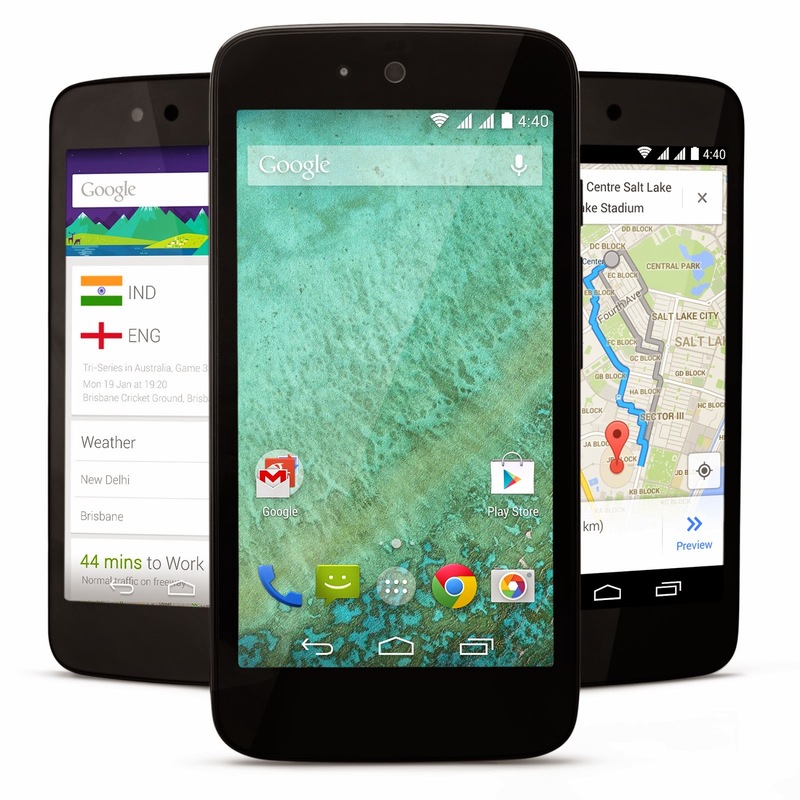 It also means Android One devices will be some of the first to be updated to the Android L release later this year. For our hardware partners, they’ll be able to create customized experiences and differentiate their devices without having to change the core software. In an effort to reduce data costs, if you have an Airtel SIM card, you’ll get these software updates for free for the first six months. As part of this same Airtel offer, you’ll also be able to download up to 200MB per month worth of your favorite apps (that’s about 50 apps overall) from Google Play—all without counting toward your mobile data usage. This is just the beginning of the Android One journey. The first phones, from our hardware partners Micromax, Karbonn, Spice and chipmaker MediaTek, are available starting today in India from leading retailers starting at Rs 6,399. We’re also excited to welcome more partners to the program, including phone manufacturers Acer, Alcatel Onetouch, ASUS, HTC, Intex, Lava, Lenovo, Panasonic, Xolo, and chipmaker Qualcomm. We expect to see even more high-quality, affordable devices with different screen sizes, colors, hardware configurations and customized software experiences. Finally, we plan to expand the Android One program to Indonesia, the Philippines and South Asia (Bangladesh, Nepal, Pakistan, and Sri Lanka) by the end of the year, with more countries to follow in 2015. Access for access’s sake is not enough. With Android One, we not only want to help people get online, we want to make sure that when they get there, they can tap into the wealth of information and knowledge the web holds for everyone. Knowledge is a game changer. I’ve long been inspired by the Internet and how it opens the doors to opportunity. It provides access to knowledge, no matter who you are or where you are. For instance, it doesn’t matter if you’re a Nobel Laureate at a world-class research center or a young student at a rural school in Indonesia, with Google Search, you have the same information at your fingertips as anyone else. If we look at how people are getting online and accessing information today, increasingly it’s through a smartphone. While 1.75 billion people around the world already have a smartphone, the vast majority of the world’s population—over five billion more—do not. That means most people are only able to make simple voice calls, rather than connect with family through a live video chat, use mapping apps to find the closest hospital, or simply search the web. We want to bring these experiences to more people. That’s where Android One comes in. At I/O, we first talked about this initiative to make high-quality smartphones accessible to as many people as possible. And today we’re introducing the first family of Android One phones in India. , bringing Android to wearables. Since then, the first watches powered by Android Wear, the LG G Watch and Samsung Gear Live, have gone on sale, developers have already built thousands of apps enhanced for Wear, and great new watches are becoming available from more partners. Our goal with Wear is to build technology that helps you connect with others and get stuff done. So often, technology can become something that gets in the way of everything else. But we want to build devices that you can use when you need and forget about when you don’t—technology that's built for your sake, rather than its own sake. Coming throughout the rest of this year, we're making some updates to Wear that will help you get even more out of your watch—and the rest of your life, too. First, we're bringing offline music playback and GPS support to Android Wear. Go for a run or bike ride with your Android wearable and leave your phone at home. You’ll be able to listen to music stored on your watch via Bluetooth headphones. And if your watch includes a GPS sensor, you can track your distance and speed too. The second update will enable downloadable watch faces, so you can customize the visual design of your watch's home screen to show the information you want to see most—like your calendar or fitness sensors. Developers will soon be working on watch faces, making them available on Google Play. We’re also continuing to work with manufacturers to bring you even more watch options, with different shapes, styles and sensors. The Moto 360, the first Android wearable with a round display, is now available for sale in the U.S. The Asus Zen Watch, coming later this year, includes a bio sensor, so you can keep tabs on your fitness and relaxation levels throughout the day. The LG G Watch R uses a circular display, includes a heart rate monitor, and will be available later this year. 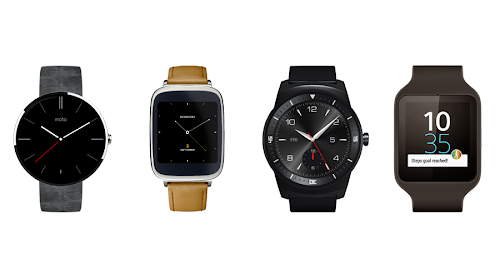 Last, but not least, we’re happy to welcome Sony to the Android Wear family with the Sony SmartWatch 3. It uses a transflective display for easier readability in sunlight, includes a GPS sensor, and will be available later this year. These watches, as well as those unveiled earlier this summer, will all get the new software updates described above as soon as they’re ready in the coming months. We're also working with our partners on even more improvements, which means your device will continue to get better, with updates provided directly to you. Whether it's giving you directions, letting you stay in touch more easily or keeping track of your steps so you can stay fit, Wear is designed to help you out without getting in your way. With new features and many new devices to choose from, chances are there's a watch that's just right for you. Earlier this year, we launched Android Wear, bringing Android to wearables. 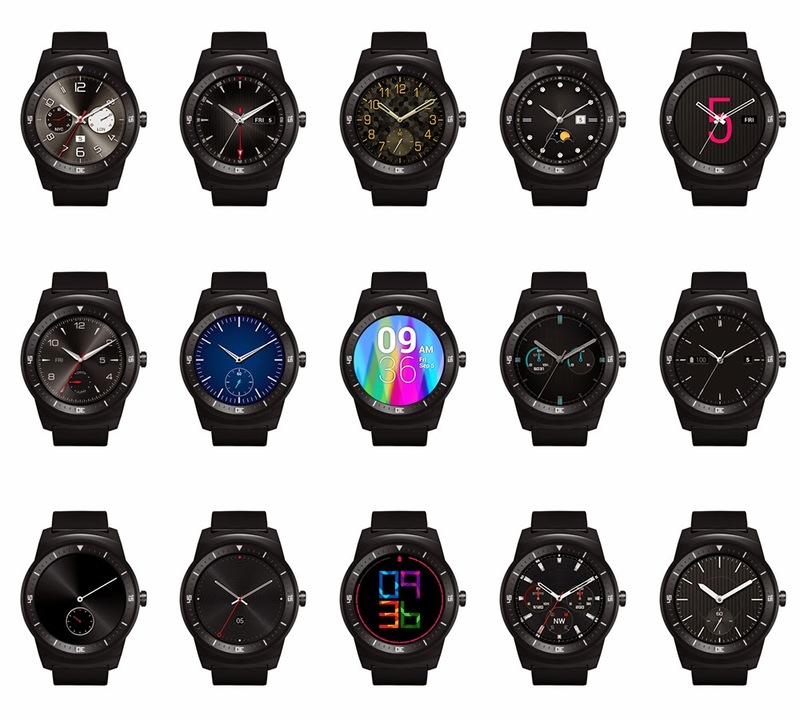 Since then, the first watches powered by Android Wear, the LG G Watch and Samsung Gear Live, have gone on sale, developers have already built thousands of apps enhanced for Wear, and great new watches are becoming available from more partners. 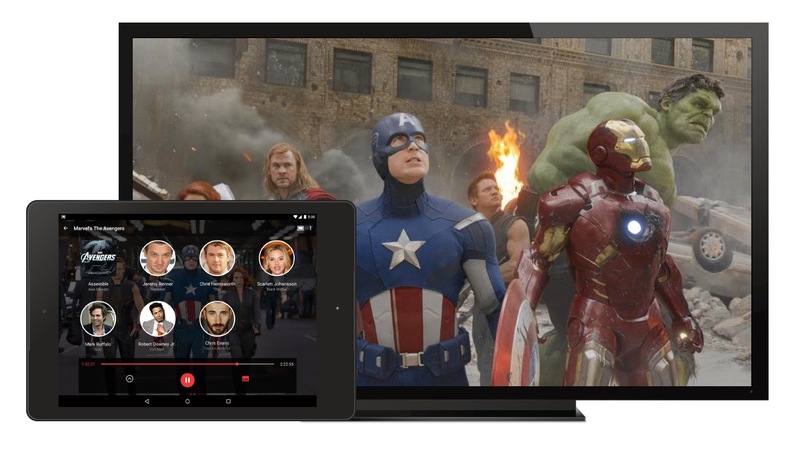 Now, anything on your Android device will appear on the TV. 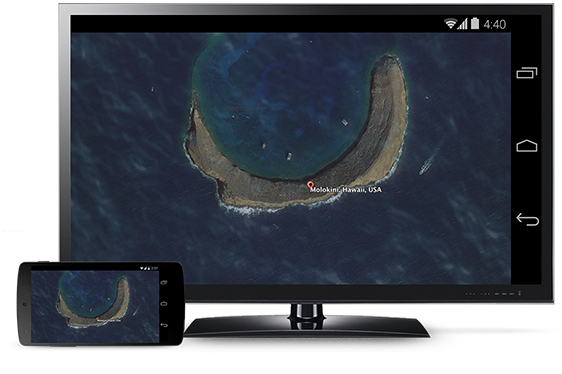 You can share photos stored on your phone with a group of friends, or scope out the scenery for your next family vacation together on the big screen using Google Earth. This feature is currently in beta and will roll out on popular Android phones or tablets from Samsung, HTC, LG, and others over the next few days. Look out for the 1.7 update of the Chromecast app on Google Play store to use this new feature. 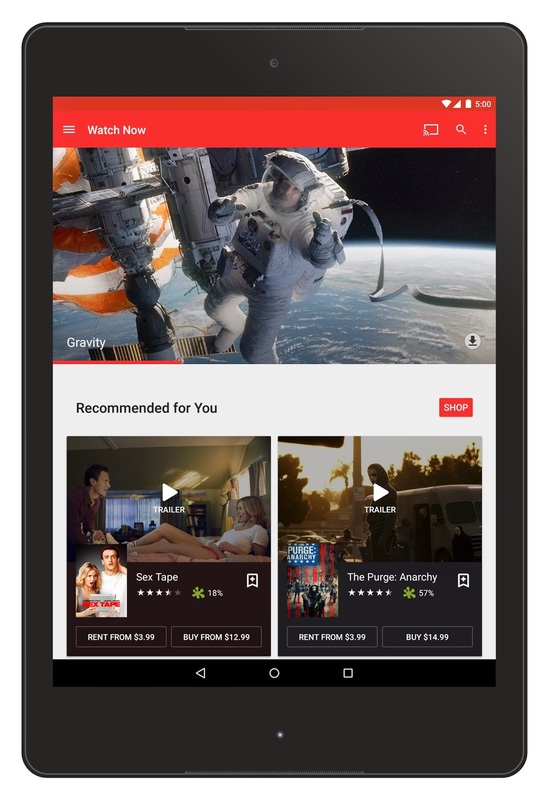 Chromecast makes it easy for you to enjoy your favorite entertainment on the biggest screen in the house. Starting today, you can mirror your Android phone and tablet to the TV so you can see your favorite apps, photos or anything else, exactly as you see it on your mobile device—only bigger. 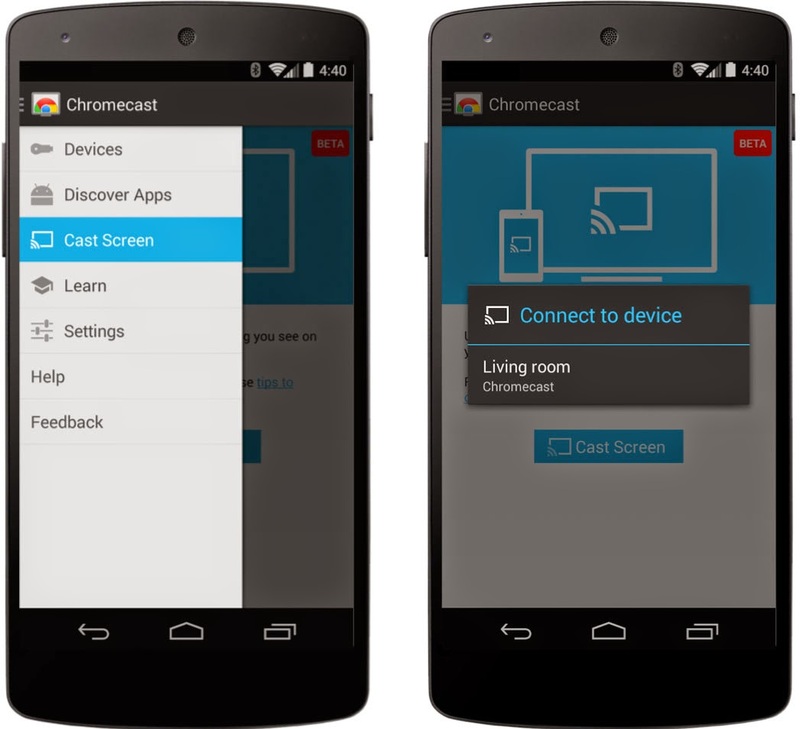 To start mirroring, simply select “Cast Screen” from the navigation drawer in the Chromecast app and select your Chromecast device. On Nexus devices, this feature is also available through the quick settings menu. , which confines apps, minimizing their ability to damage other parts of your phone. But just like your home, Google offers a built-in “service layer” (kind of like the phone equivalent of that alarm service for your home) to most every Android phone and tablet that’s constantly being strengthened, and it’s included for free. We’re adding to that service layer, further fortifying your Android phone or tablet. Building on Verify apps, which already protects people when they’re installing apps outside of Google Play at the time of installation, we’re rolling out a new enhancement which will now continually check devices to make sure that all apps are behaving in a safe manner, even after installation. In the last year, the foundation of this service—Verify apps—has been used more than 4 billion times to check apps at the time of install. This enhancement will take that protection even further, using Android’s powerful app scanning system developed by the Android security and Safe Browsing teams. Because potentially harmful applications are very rare, most people will never see a warning or any other indication that they have this additional layer of protection. But we do expect a small number of people to see warnings (which look similar to the existing Verify apps warnings) as a result of this new capability. The good news is that very few people have ever encountered this; in fact, we’ve found that fewer than 0.18% of installs in the last year occurred after someone received a warning that the app was potentially harmful. Even though the risk is miniscule, we’re committed to making sure that the best available security protections are available to all Android users. This includes service-based protections such as Verify apps, as well as security features within the platform itself. Think about the ways your home is kept secure. You rely on structural security features—secure locks, a rock-hard foundation, strong windows and doors. You might also have an alarm or video camera to give you an extra layer of security, with a support team behind those tools making them more powerful, all but invisible until the moment you need them. We have a similar approach to how we deliver security improvements in Android. As part of Android’s foundation, we built safeguards like application sandboxing, which confines apps, minimizing their ability to damage other parts of your phone. But just like your home, Google offers a built-in “service layer” (kind of like the phone equivalent of that alarm service for your home) to most every Android phone and tablet that’s constantly being strengthened, and it’s included for free. We’re adding to that service layer, further fortifying your Android phone or tablet. We're always seeking new ways for technology to help people live their lives and this is just another step in that journey. Here’s to getting the most out of the many screens you use every day—whether in your car, in your pocket or, very soon, on your wrist. Most of us are rarely without our smartphones in hand. These powerful supercomputers keep us connected to the world and the people we love. But we're only at the beginning; we’ve barely scratched the surface of what’s possible with mobile technology. That’s why we’re so excited about wearables—they understand the context of the world around you, and you can interact with them simply and efficiently, with just a glance or a spoken word. If you’re a developer, there’s a new section on developer.android.com/wear focused on wearables. Starting today, you can download a Developer Preview so you can tailor your existing app notifications for watches powered by Android Wear. Because Android for wearables works with Android's rich notification system, many apps will already work well. Look out for more developer resources and APIs coming soon. We’re also already working with several consumer electronics manufacturers, including Asus, HTC, LG, Motorola and Samsung; chip makers Broadcom, Imagination, Intel, Mediatek and Qualcomm; and fashion brands like the Fossil Group to bring you watches powered by Android Wear later this year. In this multi-screen world, switching between our different devices should be easy and seamless. Common platforms allow for one connected experience across our phone, tablet and PC, so we get the right information at the right time, no matter what device we’re using. But there’s still an important device that isn’t yet connected as seamlessly to the other screens in our lives – the car. To help address that gap, today we’re announcing a new partnership that will bring Android, the world’s largest open platform, to the open road. Google has teamed up with automotive and technology leaders Audi, GM, Honda, Hyundai and Nvidia to form the Open Automotive Alliance (OAA), a global alliance aimed at accelerating auto innovation with an approach that offers openness, customization and scale. Today, millions of people already bring Android phones and tablets into their cars, but it’s not yet a driving-optimized experience. Wouldn't it be great if you could bring your favorite apps and music with you, and use them safely with your car's built-in controls and in-dash display? Together with our OAA partners, we're working to enable new forms of integration with Android devices, and adapting Android for the car to make driving safer, easier and more enjoyable for everyone. Putting Android in the car will bring drivers apps and services they already know and love, while enabling automakers to more easily deliver cutting-edge technology to their customers. And it will create new opportunities for developers to extend the variety and depth of the Android app ecosystem in new, exciting and safe ways. But this is just the beginning; we welcome other automotive and technology companies to join the OAA, to work together to build a common platform to drive innovation in the car and bring Android to the open road. Learn more about the OAA at openautoalliance.net, and stay tuned in 2014 for more updates coming soon to a car near you.